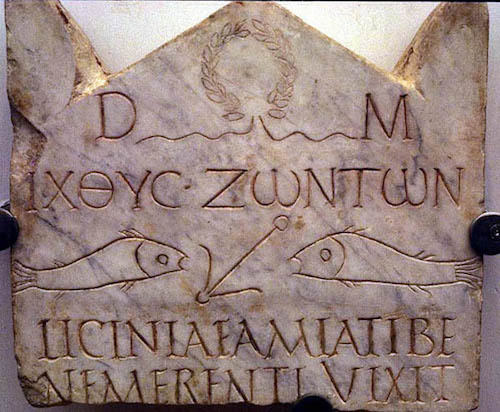 Apparently Roman Christian soldiers in some remote outposts were allowed to worship freely. 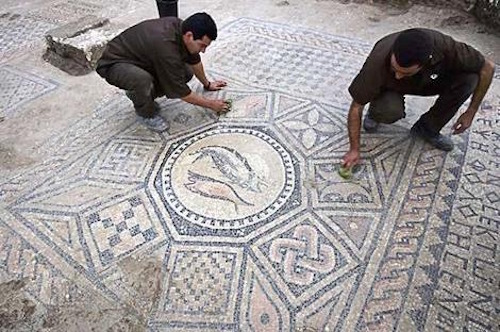 A Christian church inside a Roman army fortress in Megiddo, Israel was discovered in the 1990’s. The small church was created from a back room in the fortress by Christian soldiers stationed there. 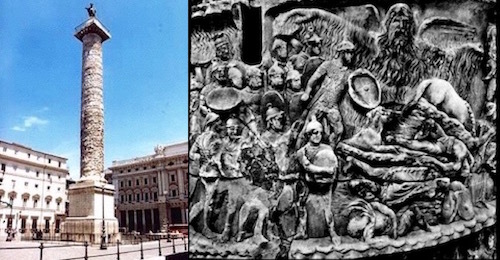 The fortress served as the military headquarters of the Legio II Traiana (“Trajan’s legion”) and Legio VI Ferrata (“Ironclad Legion”). 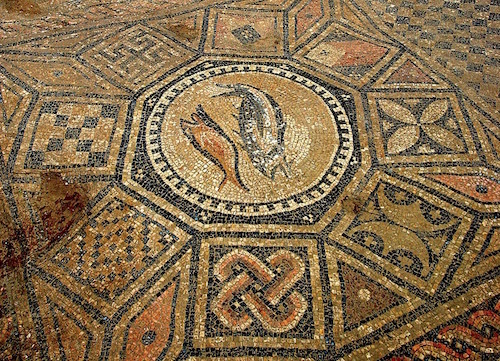 A mosaic on the floor shows two large fish, the Ichthus symbol. A Christian soldier named Akeptous donated an altar to the room. Another Christian soldier named Gaianus who had risen in rank to become a centurion paid for the mosaic to be done by another soldier named Brutius. 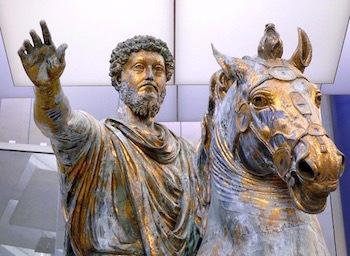 Marcus Aurelius even had this incident portrayed on his victory Column, today still standing in the Piazza Colonna in Rome.